The name « Chatterie des Laines Blanches » came from a play on words. 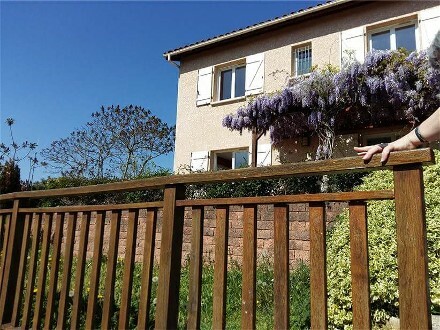 The first person to explain the breeding job to me was Héléne and to show her my thanks I named my cattery after her first name Hélène but with the play on the word "wool" which in French is "Laines". As I liked the bicolour I decided to add the "white" (blanc) and that is how The White Wool Cattery (des Laines Blanches) was born. Breeding is an activity which brings lots of joy but also very often disappointment I will develop only the positive side. 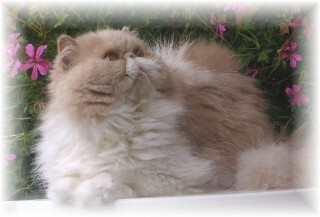 This cream and white Persian was born at Mrs and Mr Deltorre in a charming town in the south of France: Saint Remi de Provence. When I saw Papillon I fell in love of him. This cat was mine. 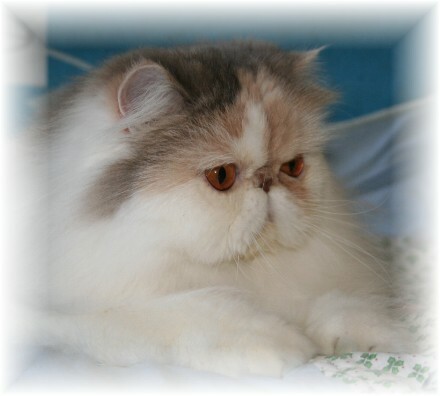 For 8 years, he was the sire of beautiful kittens which delighted the new owners. 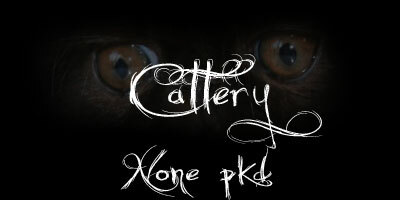 The White Wool Cattery was born in 1999: Already 13 years !!! 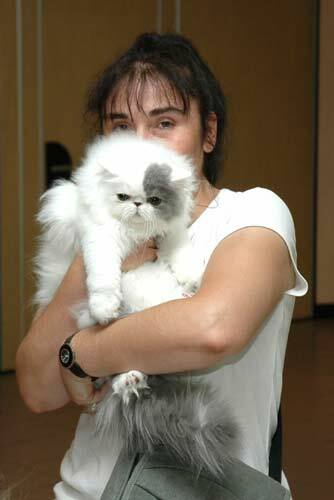 In 1997, I bought Meikyo des Flocons de Lune my first persian and I understood that my love belongs to persian cats. 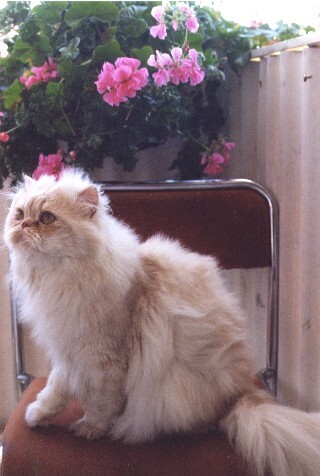 The white Wool Cattery is specialised in bicolour Persians, Harlequin or Van. I'll develop this colour repartion(or boss)in the rubric " The Persian"